Sunrooms are a great addition to any home, and they’re actually a lot more versatile than you might think. In this blog we’ll talk about the different kinds of sunrooms to give you a better idea of which best fits your wants and needs. Traditional sunrooms (sometimes referred to as a conservatory) are attached to the house and use lots of glass to allow natural light to bathe the room. Traditional sunrooms are perfect for the warmer months but will probably be a little too cold to use during the winter. This of course varies depending on the climate where you live. Year-round sunrooms have the benefit of heating and cooling so you can enjoy them at any time of the year, even if you live in a climate with cold winters. 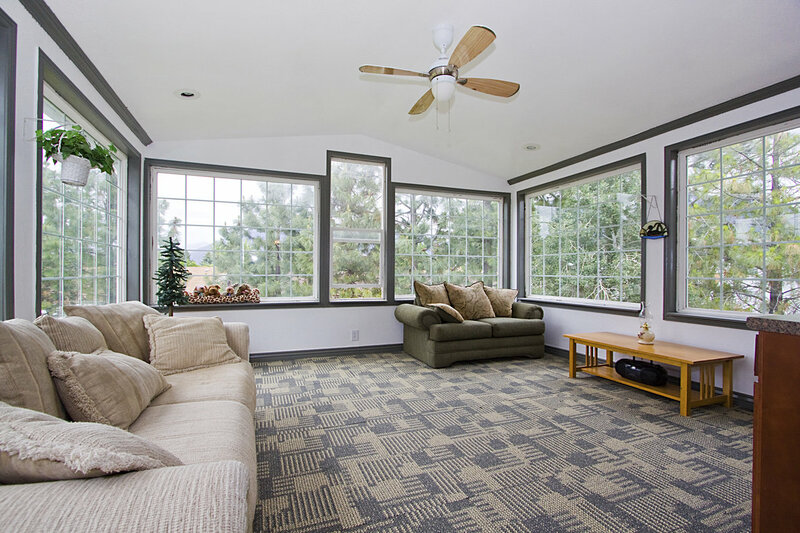 It will cost more to set up heating and cooling, but it’s worth the investment to be able to use the sunroom year-round. Screened-in sunrooms use mesh instead of glass to allow light in. The benefit of mesh is that it also allows fresh air in but keeps out insects and other animals. Screened-in sunrooms will most likely be cheaper than other sunrooms, but won’t be usable when the weather gets cold. Attached greenhouses are great for those who enjoy keeping a garden indoors. However, the temperature and humidity levels in greenhouses are meant for plants, not people, so if you’re looking for somewhere just to relax, one of the other kinds of sunrooms is a better option. Your Project Loan has over 55 years of experience helping homeowners get the loans they need to make their remodeling dreams a reality. Is your kitchen aging faster than you’d like it to? Is the bathroom in need of a facelift? We’ve got you covered. No matter what kind of remodeling you want to do, we can get you the loan to finance it. With new low 4.99% APR financing available in all 50 states and up to $100,000 with no equity required, now is the perfect time to go to our website and fill out our 60 second loan application. Are you a home improvement dealer? Want to increase your sales?! We can help you provide financing for your customers as well. Please fill out our dealer application and you will be contacted within 24 hours by one of our Home Improvement specialists. As the old adage goes, time is money, and for an investment of just 60 seconds you could be looking at a great loan for your home remodeling project. In less than the time it took you to read this blog, you could have been on your way to a loan today. So don’t delay, head over to our application and get started! And be sure to follow Your Project Loan on Facebook, Twitter, Google + and LinkedIn. This entry was posted on Friday, February 21st, 2014	at 5:25 pm	. You can follow any responses to this entry through the RSS 2.0	feed. Both comments and pings are currently closed.